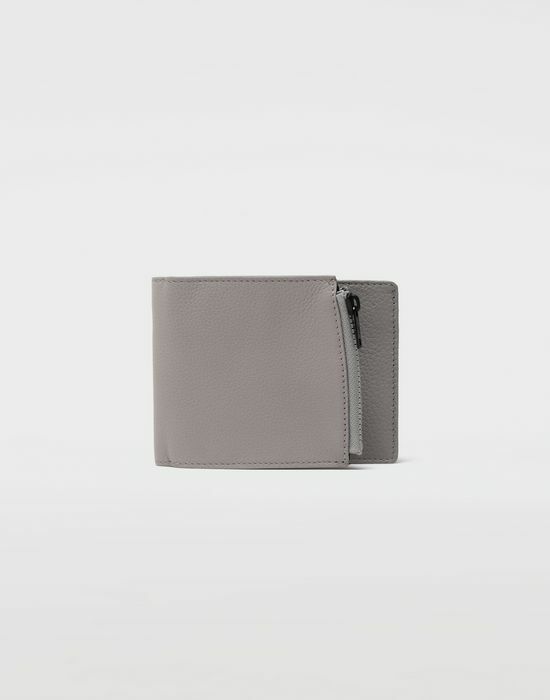 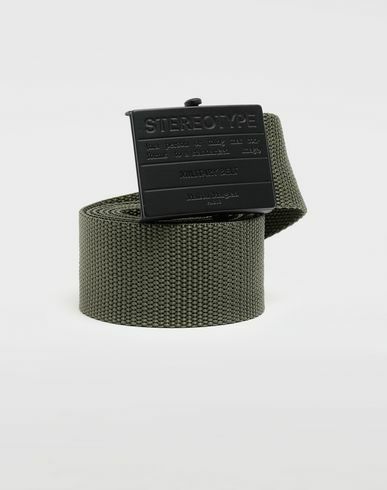 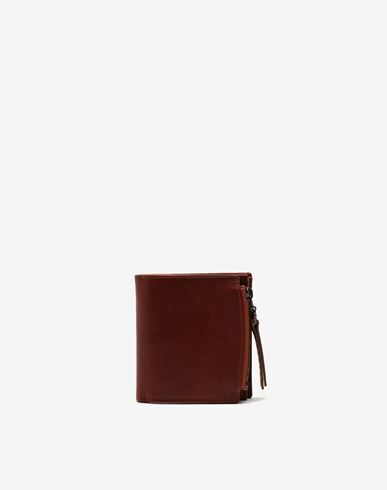 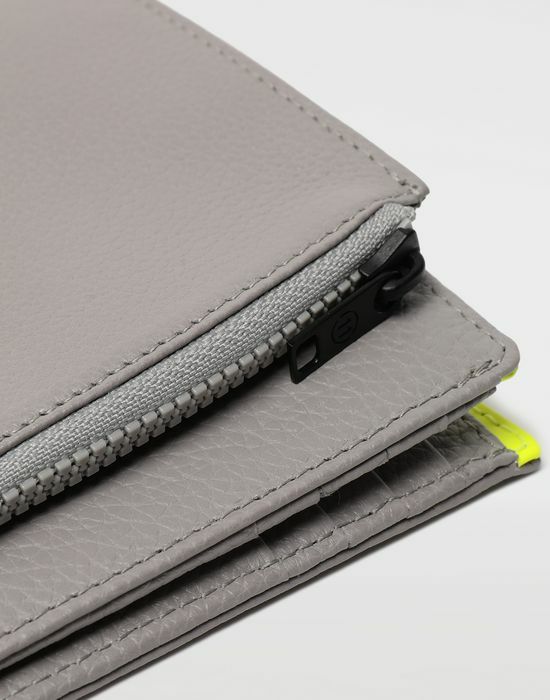 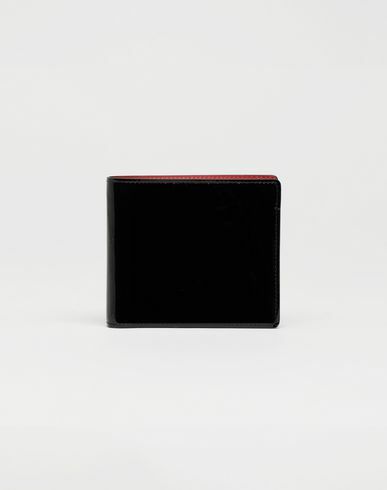 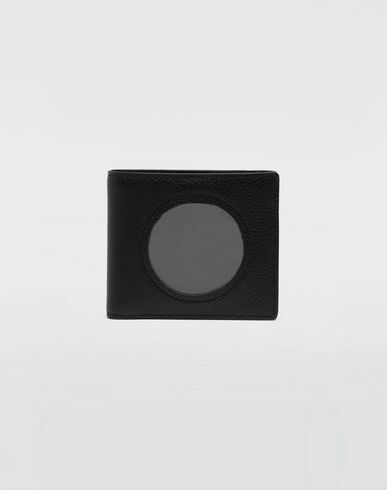 In grainy leather finish, this fold-out wallet has as asymmetric design with an outer zipped coin purse. 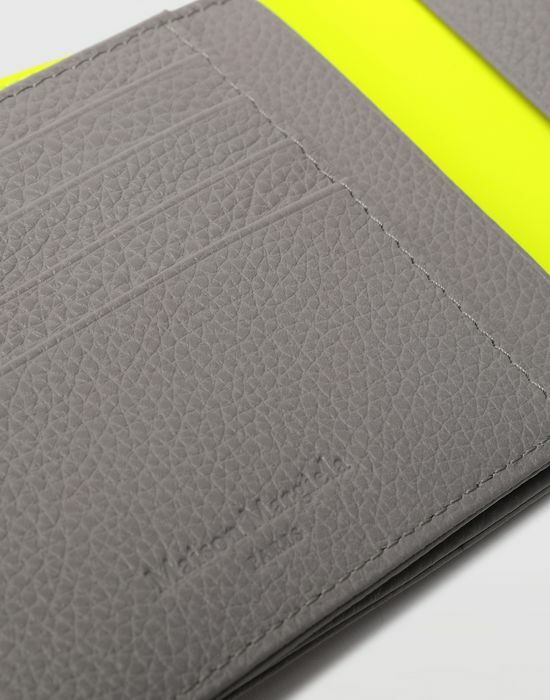 It opens to a contrasting sectioned inner for cards and notes. 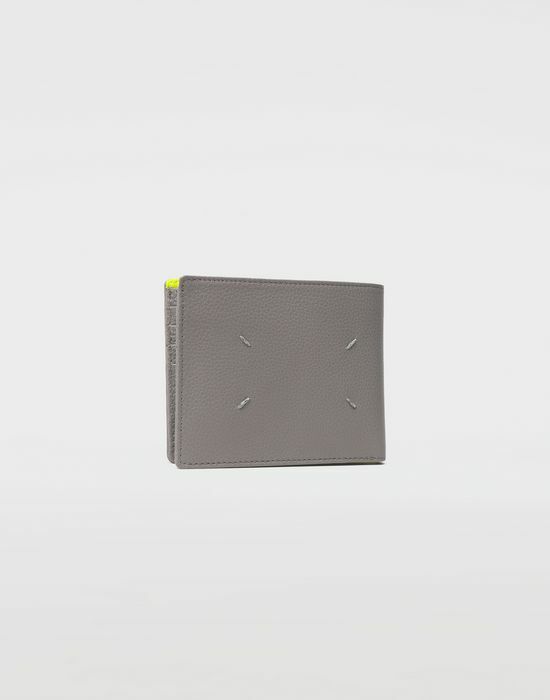 The Maison’s iconic four white stitches are exposed on the back.